Bournemouth University (BU) was a hub of politically-charged debate as academics, journalists and members of the police force discussed extremism, radicalism and the media’s role in public perception. The conference, ‘Responding to extremism: Media roles and responsibilities’, was hosted by BU’s internationally renowned Media School, in partnership with Dorset Police, and covered the BNP, Al Qaeda-inspired Islamism and the impact of new media channels, among other topics. Inspector Alan Jenkins from Dorset Police acknowledged the challenges posed by the continually expanding digital networks and raised questions about the media’s role in ‘fuelling the fear’ of the public’s perception of extremism. Dr Ben O’Loughlin from Royal Holloway said, “It’s the BBC that’s radicalising people,” as he and research colleague Professor Andrew Hoskins from the University of Glasgow discussed the gate-keeping of extremist messages in a new media ecology. Mark Gill, from Woodnewton Associates research and communications agency, used the example of the Muslim veil to question how our attitudes change even more radically when specific legal policy is brought to our attention, while Professor Nigel Copsey from Teeside University spoke about the media and the public’s perception of the BNP. 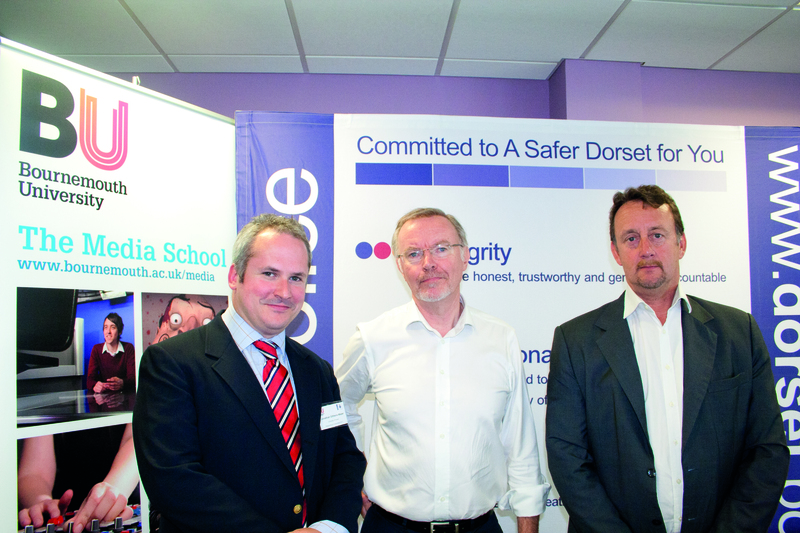 Mike Glanville, Assistant Chief Constable of Dorset Police, gave an overview of current counter-terrorism strategy and its relationship to the media. The conference closed with views from the journalists themselves with ex-Reuters Head of Global News and Dean of the Media School Stephen Jukes concluding that there is no such thing as objectivity in journalism. Professor Barry Richards from BU organised the conference. Professor Barry Richards, Bournemouth University.